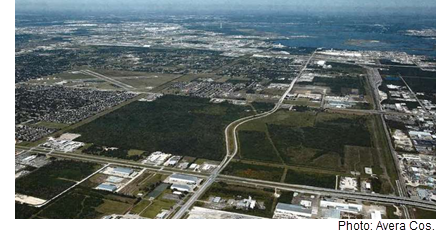 ​​ LA PORTE – Houston-based Avera Cos. acquired several hundred acres near Port Houston. The company bought 369 acres between two large tracts of land from Pittsburgh-based PPG Industries. Both tracts sit alongside Bay Area Blvd. ; one tract is 235 acres and the other is 134 acres. Avera sold the 235-acre tract to Beazer Homes, which plans to develop a master-planned community on the land. A portion of the land Beazer bought will also include a multifamily complex and a senior-living facility. Avera will develop the remaining 134 acres with retail and commercial offerings to cater to the master-planned community. Work on the site will start first quarter 2018.